CellCAN is supported by a robust governance structure, including appropriate oversight of management, to ensure rigor, effectiveness and accountability in achieving its mission and strategic goals as a multi-centered and multi-disciplinary organization. The Board of Directors is the principal governing body of CellCAN and its primary role is to provide overall strategic guidance. It provides high-level direction of the organization to ensure the achievement of its mission and objectives are in line with its values and beliefs. The Board is also responsible for ensuring the organization’s financials are managed according to Canada Revenue Agency (CRA) and Industry Canada standards. 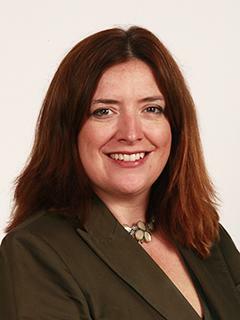 Fiona Fitzgerald is currently the National Zone Leader for GE Healthcare Canada, Life Science. She has accountability for all the commercial products in Canada across the Research, BioProcess, Cell Technology and Service portfolios. She has been employed with GE in Canada since 1995. She also worked in the UK and the US with GE. She has long been involved with Academic/Industrial partnerships since her first role technology transfer liaison for Cambridge University and GE. Along with a Bachelor degree in Applied Biochemical Sciences, she also has a post graduate Diploma in Management Sciences. She is also a graduate member of the Chartered Institute of Marketing. Fiona has sat on various Government of Canada Federal committees including NSERC`s CREATE program and several NSERC Centre of Excellence Evaluation committees. In 2014, she chaired the CREATE committee. She currently holds three board memberships in CIMTEC, MDCC and on the Advisory Board for the Centre of Bioengineering and Biotechnology in Waterloo University. For short-term, Fiona’s mission is to better develop the Life Sciences portfolio of GE in Canada. In order to achieve that goal, she is actively contributing to stem cell, monoclonal antibody development, inflammation and infectious diseases partnerships. She is also an active mentor of the GE Women’s group. As a mentor in GE, she helps junior level women in the organization find their career path. Jean Picard is a partner and co-founder of the Pluridis Group, a firm offering consulting and management services to businesses. His career in consulting extends over 30 years. 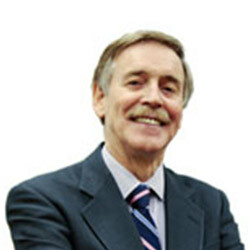 His fields of specialty include performance management, planning and management control and governance. Among his achievements, he introduced and applied the methodology of value-for-money audits in the health sector; such projects were conducted in several hospitals in various regions in Quebec. He also directed many engagements relative to health and research management for different faculties and entities at McGill University, including the Office of Technology Transfer. In recent years, he has advised senior executives of non for profit organizations in strategic planning and development of action plan to achieve objectives. In his volunteer activities, he has been a member of Boards for several organizations. Mr. Picard holds a master’s degree in Commercial Sciences from HEC Montréal. He is a member of the Quebec Order of Certified Professional Accountants. 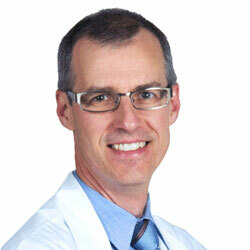 Dr Lambert Busque is a practicing hematologist at Hôpital Maisonneuve-Rosemont (HMR), and serves as Chief of Molecular diagnostic and Chief of HMR's Diagnostic Program of Medical biology. He sits on several Quebec government regulatory committees such as the Institut National d'Excellence en Santé et Services Sociaux (INESSS). He is the co-founder of the Quebec CML Registry and a founder and current president of the non-for-profit organization GQR-LCM/NMP (Groupe québécois de recherche en leucémie myéloide chronique et en néoplasies myéloprolifératives) where he successfully built a network comprising 20 oncology centers in the province of Quebec. As Chief Medical Officer (CMO) of C3i, Lambert will bring a unique blend of expertise inscience, business, management, clinic, reimbursement, network building, and raising public and private funding. These aspects are essential to the successful implementation of clinically relevant solutions for cancer immunotherapy within the C3i program. As Vice-President Technology Development at Quadra Logic Technologies (QLT), David Dolphin was the lead creator of Visudyne, a medication used in conjunction with laser treatment to address the wet form of macular degeneration. 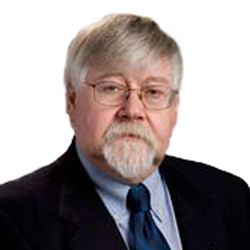 He holds more than 260 patents, is the author and editor of nineteen books and has published over 400 research papers. In 2002, he was co-awarded the Prix Galien. In 2004, he was designated a Hero of Chemistry by the American Chemical Society and was appointed an Officer of the Order of Canada in 2006. Before joining QLT, Mr. Dolphin was the Acting Dean of Science at UBC. 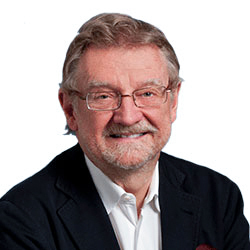 He was the founding CEO of the British Columbia Innovation Council and has sat on many boards including those of The Canadian Foundation for Innovation, Genome BC, and Alberta Innovates-Health Solutions. He was a founding member and is the current Chair of the Center for Drug Research and Development. Michael May is President and Chief Executive Officer of the Centre for Commercialization of Regenerative Medicine (CCRM), a Canadian, not-for-profit that develops technologies and launches new companies by supporting both academic and industry activities in the field of regenerative medicine, including cell and gene therapy. Prior to CCRM, Michael was the President, and co-founder, of Rimon Therapeutics Ltd., a Toronto-based tissue engineering company developing novel medical polymers that possess drug-like activity. 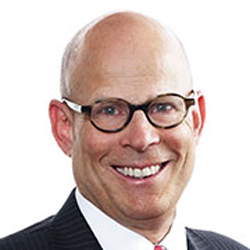 Michael sits on a number of boards and advisory committees including: the Centre for the Commercialization of Antibodies and Biologics (CCAB); the Entrepreneurship Leadership Council at the University of Toronto; the TO Health! Human & Science Steering Committee; the Cell and Gene Therapy Insights, Editorial Advisory Board; the Industry Committee of the International Society for Stem Cell Research (ISSCR); and the Executive Committee, Alliance for Regenerative Medicine (ARM). He is the Chairman of the start-up company: ExCellThera Ltd.
Three bodies support the Board in the fulfilment of its duties. The CEO is responsible for the management of CellCAN with the support of a Steering Committee and an International Scientific Advisory Committee. CellCAN’s organizational structure benefits from the synergies that exist between members and their respective collaborators. The management team provides operational and administrative leadership to ensure control and accountability on a day-to-day basis. All operational activities are overseen and administered by a Management Team (project manager, administrative coordinator and a designated part-time operation manager at each facility for liaison) who will report to the CEO. The Steering Committee advises the CEO on the elaboration and execution of strategies for attaining CellCAN's mission and vision. The International Scientific Advisory Committee (ISAC) is an external advisory panel established to assure the relevance and quality of the science used within CellCAN. The ISAC advises on emerging science and technology trends, challenges and opportunities in national and international contexts of cell and tissue therapies. The ISAC will advise the CEO on research orientation. It will also advise on scientific and business partnership opportunities and linkages; as well as the science underpinning specific issues brought before the ISAC.